P.TRE has developed ad hoc solutions in order to be adaptable to the context in which the system is going to be installed. The gutter for vegetables can be profiled on site or cut in our warehouse and sent in pieces. The profilation on site allows the customer to obtain gutter rows without any connection and grants the complete recover of the drainage water. The positioning operation takes less time than the installation of the gutter in pieces because the gutter is profiled to the exact requested length and is directly arranged into its supports. P.TRE offers the gutter shipped in pieces for smaller projects or towns which may be hard to reach. We have realized many projects throughout the world thanks to specific gutter shapes whose pieces are perfectly connectable. This option requires a longer installation process in view of a more moderate price. There are several types of gutter supports, depending on the greenhouse structure into which they are going to be installed. 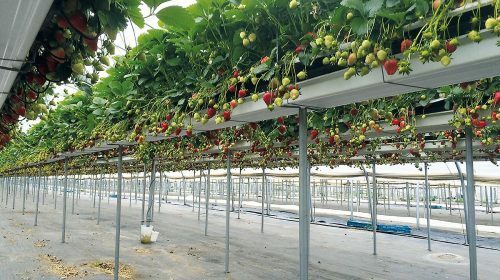 If the greenhouse has a load-bearing structure, the gutter can be hung to it; while adjustable supports can be positioned into the ground if the structure cannot hold the weight of the system. The hanging system is faster to install and easier to use. It can be considered the best solution in case the gutter is positioned into a strong load-bearing structure. The gutter will be hung by using hooks, ropes or chains. 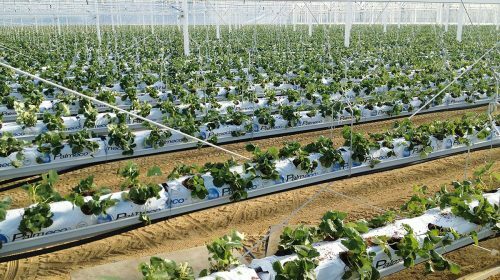 The hanging system also allows to take the best advantage of the space and does not foresee any support to the ground, making the cleaning and planting operation easier. 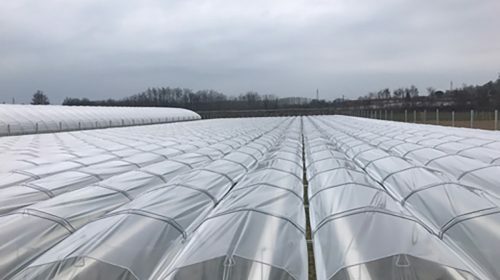 If the structure of the greenhouse is not load-bearing, P.TRE provides the exact number of posts to be stuck to the ground, into which the holding hooks should be inserted. 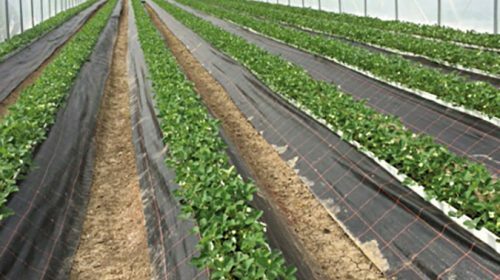 The gutter can be then positioned in every indoor/outdoor location independently to the greenhouse structure. P.TRE can also project Minitunnel kits for open field cultivation. It is an arched structure made of galvanized wire and supported by tubes stuck to the ground. These kits can be provided also for already existing pipes. Hooks and accessories are needed to install the bandella ribbon, the supporting wire and the irrigation/heating pipes. Bandella ribbon is a net studied to sustain the stems of the plants and prevent their rupture. The wire separates the leaves from the fruits and improves the exposition to the sun, the ventilation, the selection and the harvest of the fruits. The snap-fit hooks can shift along the triangles that support the gutter and offer the possibility to choose the height of the ribbon on both sides of the row.